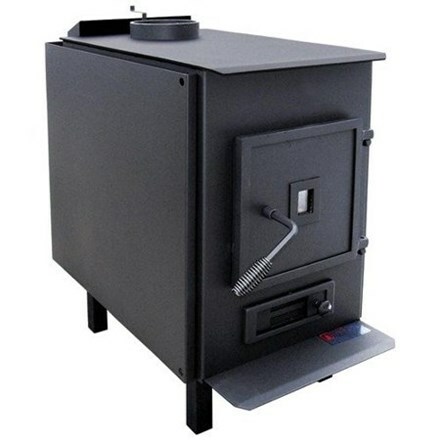 This is a simple "shop stove" only. Not intended to be a primary heater inside a home. Very simple low cost design, does not offer an overnight burn time. Only one left - hurry in and grab it if you want it! Only $599.00 on this sale!